There is no flower that is quite as exquisite and unique as the lotus. At night, the flower closes and sinks underwater. It rises and opens again at dawn. How it blossoms and recedes at certain times of the day makes the flower remain untouched by impurity. 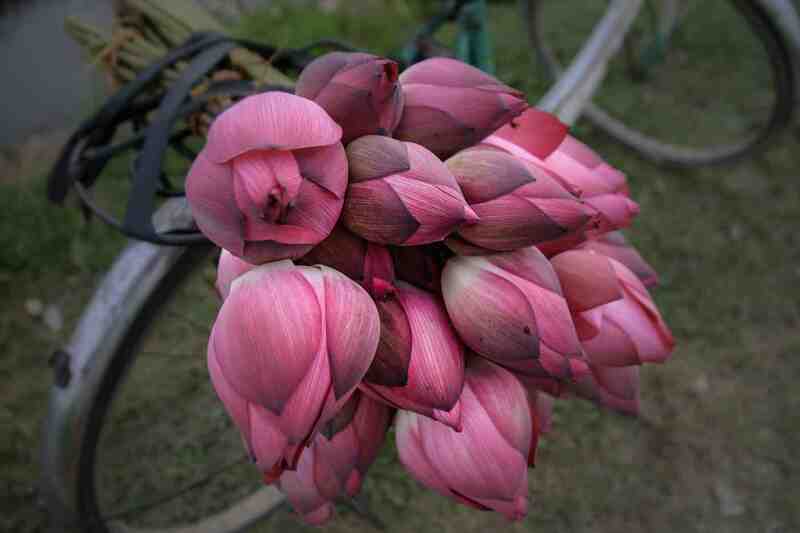 Thus, the lotus symbolizes the purity of heart and mind. 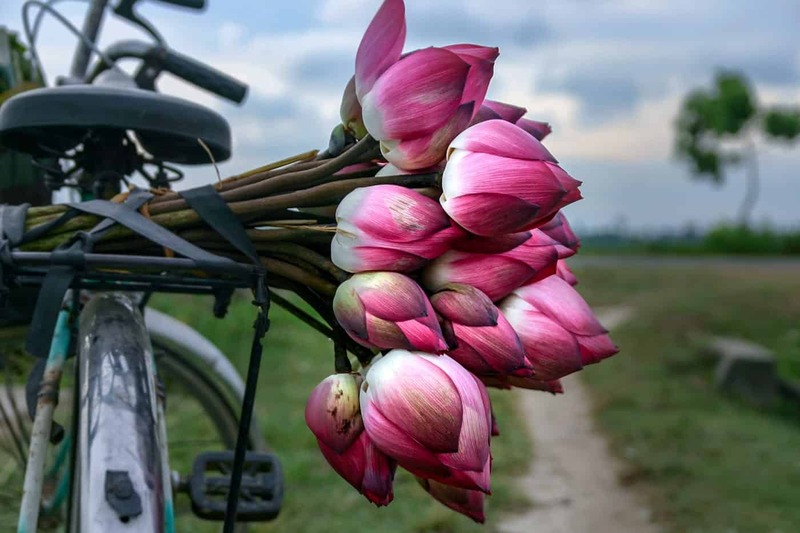 The Lotus is a special flower as it grows and lives in mud but it still passes out of the water to catch the sun without being polluted by the surrounding mud. Therefore, it is the most representative symbol for culture and humanistic manners of the Vietnamese, represents strength and the rise of a strong will to live as ethnic Vietnamese. The lotus flower regulates its temperature; even as outside conditions go through wild fluctuations, the lotus flower maintains a fairly steady internal temperature. It’s believed that this also change occurs at the biochemical level, rather than structurally. As the temperature drops, the flower oxidizes carbohydrates to produce heat. The lotus symbolizes Buddhist detachment; the way that water slides off lotus petals represents the detachment aspect of their faith, which tells them to let go of lusts, cravings and desires. This is one of the reasons why many statues and images show Buddha sitting on a lotus.